When driving somewhere new, how are you at finding your final destination? Maybe you have a strong sense of direction. If so, I admire that quality in you. I describe myself as being “geographically challenged.” That means I get lost super easy. Back before we had GPS in our cars and on our cell phones, I would leave for appointments between 1 to 2 hours early just to give myself time to get lost. Talk about being inefficient with my time! Now, when I book appointments, I put the address into my calendar on my cell phone so when I am leaving, I am ready to plug it into the GPS and find my way. Thank goodness for an easier way! I apply this same strategy now when I network, talk with prospective clients, and in my coaching calls. 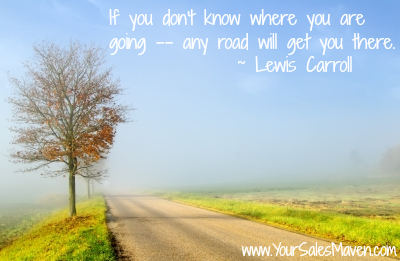 I do a little bit of planning ahead of time.This is the next Savvy Sales Tip for you. 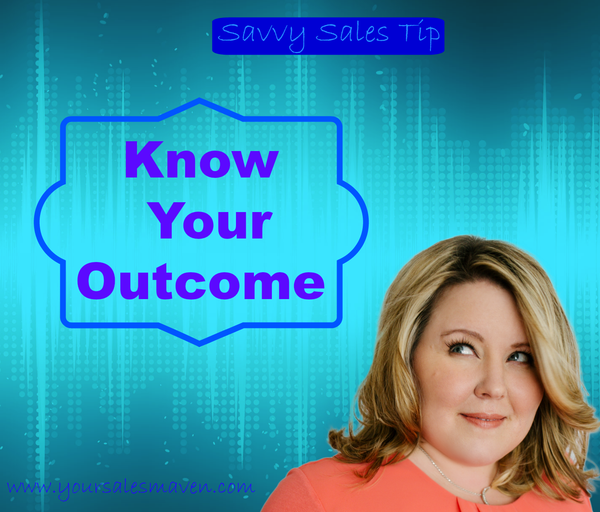 Having an outcome in mind saves time, keeps you on track, and allows for you to measure how you did at the end of the meeting. At the end of the networking meeting, I have a way to measure my success. How did I do in relation to my outcome – what do I want to do differently next time, etc. Try this tip the next time you are attending a networking event, meeting a prospective client, etc. Your time is valuable! Be efficient with it.